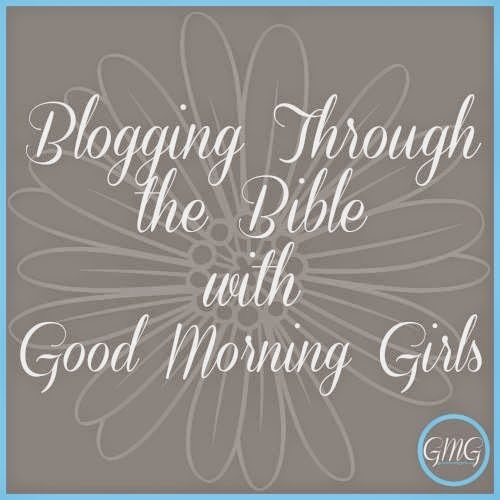 Welcome back to our study with the Good Morning Girls as we read through the Bible one chapter a day - for as long as it takes us! We just finished up the book of Matthew the week after Easter, and now following our spring break we are diving into Leviticus. Yes, this is going to be a challenging book, but please stick with me through this time! 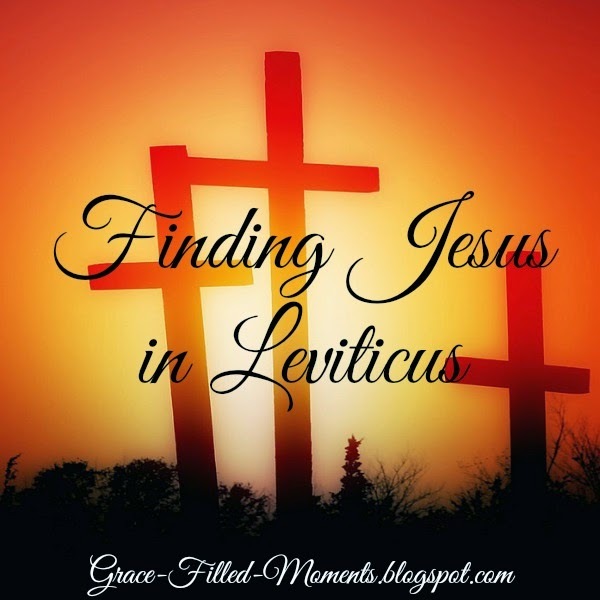 Finding Jesus in Leviticus is what makes this time we are about to share together so very exciting to me! And how appropriate, I think, that we are reading Leviticus after having just finished celebrating the resurrection of Jesus. It was His sacrifice on the cross that makes final atonement for all of our sins! Just before Jesus died on the cross he said, "It is finished!" There are five sacrifices that we are going to learn about in this week's reading of Leviticus. Each sacrifice foreshadows the life and death of Jesus. The burnt offering symbolizes Jesus' offering of Himself to the Father as the spotless Lamb of God. The grain offering points to Jesus' life, with the flour representing His perfect character in word and deed. The fellowship offering symbolizes the peace we have with God through Christ (Colossians 1:20). The sin offering explains Jesus' death on the cross, when He took the place of every sinner who would ever believe. Finally, the guilt offering points to Jesus' payment for our sins against others. I invite you to walk with me for the next six weeks through the pages of the book of Leviticus. Here is our reading plan for this week. Observations: Here in chapter 1 we learn about the “Burnt Offering” – the first of six offerings that could be brought to the tabernacle altar. The burnt offering was brought by worshippers when they wanted to express their devotion and dedication to God. Specific instructions were given by God and could not be altered or varied in any way. The sacrifice had to be a male animal from their personal herd or flock; or their sacrifice could be a bird. The worshipper would bring the sacrifice to the door of the tabernacle and the priest would examine it to make sure it was without blemish. The worshipper was to lay his hand on the sacrifice (Lev. 1:4) from the herd or flock which symbolized two things: 1) the offerer’s identification with the sacrifice and 2) the transferring of something to the sacrifice. The worshipper, in the laying on of his hands, symbolically transferred his sin and guilt to the animal who was dying in place of the sinner. In this way, the burnt offering made atonement for the worshipper. The phrases “before the Lord” and “unto the Lord” are repeated 7 times in this chapter. This is significant in that it shows the transaction taking place at the altar was between the worshipper and the Lord. Application: We are to give ourselves completely to the Lord. We can’t pick and choose the parts of our lives that we will surrender to Him – He desires to be Lord of all. We are blessed because our relationship is a personal one-on-one relationship with the Lord. Jesus was our sacrifice “without blemish and without spot” (1 Peter 1:19). He gave Himself on our behalf in total dedication to God (John 10:17; Romans 5:19; Hebrews 10:10). Kneel: Heavenly Father, thank You for sending Jesus to identify with man. Jesus, you were the offerer and the sacrifice – I am in awe of Your love as I think about this truth. You offered Yourself as the perfect sacrifice and willingly took on all the sins of this world. You willingly bled and died on the cross to make atonement for our sins. Such amazing love! Thank You for Your righteousness that covers me now as a child of God. Help me to live my life in complete submission to You, being wholly committed and dedicated to the holy life that You are calling me to live. Walk with me through the book of Leviticus and give me eyes to see and ears to hear what the Spirit of the Lord is saying. In the powerful, life-giving name of Jesus I pray. Amen! Will you be joining me in reading the book of Leviticus? Let me know in the comments! This will be a challenging one but I think it's worth it too! I'll look forward to reading your thoughts on these tough passages. Thank you so much Laurie!! Keep it up!